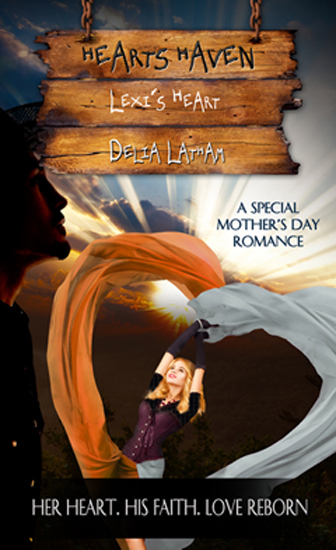 Please welcome guest-blogger Delia Latham. Delia has visited us here at the Inkwell before, and we're so happy to have her here with us again. Psalm 34:8–O taste and see that the Lord is good: blessed is the man that trusteth in him. My eight-year-old grandson wrinkled his nose and eyed the two chicken casseroles I had pulled from the oven as he watched. For the past ten minutes, he’d been loudly insisting that he was starving “to death,” really, truly, he was! I ignored his grammar gaffe with effort. There is a time for everything, I reminded myself. “I don’t!” He clamped his lips together and curled them in as tightly as he could manage. His big blue eyes never left the casserole. I followed his gaze and took a good look at the dish, which is always a favorite at family gatherings. The wonderful aroma made my mouth water—good thing I’d made one for us, or the other one might never make it to the church potluck. Looking at it now through a child’s eyes, however, I had to admit it might lack a bit of visual zip. He gave me a sour look, but opened his lips just enough for me to slide a small bite between them. His expression said I was asking far more than was fair of a grandmother. I bit back my laughter and set a plate in front of him. Watching him chow down, I was suddenly slammed quite forcefully with a truth that made me ashamed: Logan’s behavior was similar to that of many adults—myself included—who seem to have trouble trusting God. Why is that, I wonder? He gives us good gifts every day. And our Father doesn’t stop at what we “need.” He sets out to give us the desires of our hearts. Yet we turn up our noses and reject His love, because sometimes it isn’t in a pretty package. Sometimes it looks like something we do not want—no way, no how. Despite all He does to bless us, we still haven’t learned to trust Him. In order to give us the gifts He brings, and to do for us what we need the most, God almost has to pry our spiritual jaws open and force us to partake of His blessings. And every time, we are forced to sheepishly acknowledge—all over again—that the Lord is good. In my story, Lexi’s Heart, my heroine has major trust issues. Lexi doesn’t trust anyone—including God—except her mother, who is sinking further and further under the murky waters of Alzheimer’s. From the first, little reminders to trust God keep being put in her path. Eventually, of course, she has to open herself up to God and to love (same thing, right?) in order to find her happiness. The same is true of us. Until we open our mouths wide enough to “taste and see,” we’ll never be able to completely partake of the bounty God has prepared for us. To paraphrase my little sweetie, God’s already “made it and everything.” Seems only right to sample the offering…. And I can almost see Him not bothering to bite back His laughter at the very moment He sees us wake up to the knowledge that His blessings are good—every time. Her heart. His faith. Love reborn. Born and raised in Weedpatch, California, Delia Latham moved to Oklahoma in '08, making her a self-proclaimed California Okie. She loves to read and write in her country home, and gets a kick out of watching her husband play Farmer John. She's a Christian wife, mother, grandmother, sister and friend, but especially loves being a princess daughter to the King of Kings. She loves Dr. Pepper and hearing from her readers. 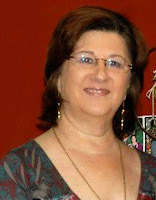 Contact her through her website, her blog, or her Facebook author page. Delia writes inspirational romance and women's fiction, and is currently contracted through White Rose Publishing (a division of Pelican Book Group) and Vinspire Publishing. Welcome back, Delia. That's a wonderful analogy... although I have never done anything like that before. Nope, not me. Ever. Never ever. Really. sigh. Isn't it wonderful how our God teaches us through moments such as Logan and the chicken dish. Thanks for sharing this insight. Yeah, Delia you've hit it spot on. I've dined on humble pie many times after realizing that I was pushing away gourmet from God to dine on leftovers from the world. DeAnna, Logan is a cutie, but he's a couple of good-sized handsful, as well. :) Thank you for saying howdy. Also - which is the first of your Heart's Haven books? I want to read them in order. Thank you for inviting me, Suzie! Grandkids are a joy...most of the time. lol I know you're going to love it! Next up is Heart's Haven Holidays collection, which opens with my Mother's Day story, LEXI'S HEART, which releases May 3rd. It's always so wonderful when God gives us a glimpse of his fatherly heart. Kids give us a so much insight in this area. Wonderful post, Delia. Lexi's Heart sounds like a wonderful story. Spot on, Delia! I'm guilty of the same thing. I love how our children and grandchildren so often teach us lessons about ourselves! My oldest grandson has just learned the word "NO" and uses it frequently. Even when he means "yes." How many times do I say "no" to God's leading, even though my heart is saying "yes"? Mea culpa! I'm so guilty of this. Thanks for the great metaphor and for hanging out with us at the Inkwell today. Beautiful and more than a lot true!! Sometimes I think God must just drop his head to his hands and give it a good shake. I think it's already been said. Beautiful grandchild, beautiful insight, beautiful patient God, beautiful photograph of a beautiful lady. Such a beautiful post, Delia, and I needed the reminder today. God Bless You! Great post, Delia. Your stories are such a blessing and I just know that this one will be one, as well. God bless you on your writing journey!